The dairy farm workers who help to produce the milk Starbucks uses to make lattes, cappuccinos, Frappuccinos and other products urgently need your help. Starbucks is a major buyer of milk from Darigold member dairies. These workers, employed on Darigold member dairies in the Pacific Northwest, have faced sexual harassment, violations of the law, and long hours with no rest or meal breaks. To make matters worse, many of these workers have been retaliated against for speaking out, lost their jobs and been sued for complaining about not receiving legally mandated breaks. Darigold is huge. 92% of the dairies in the Washington State are Darigold member dairy farms. Some Darigold dairies have made a practice of sexual harassment. The harassers keep their jobs and the women get fired. It’s time to take sexual harassment out of the supply chain. Starbucks needs to assure customers that their code of conduct is respected. Starbucks’ mission statement talks about inspiring and nurturing the human spirit. To date, consumers, elected officials, even dairy workers themselves have called on Starbucks corporate headquarters to live up to this mission and take action. But to date, nothing has changed. That’s why we are asking that you add your voice to our call for justice and corporate responsibility. If you are on Facebook or Twitter click links to “share”/”retweet” the workers’ video and tell your friends to watch and help get the workers’ message out. Make sure your post is public. If you have a bit of extra time, write your own comments to the retweet/share. Make sure you tag @Starbucks, @Darigold and please use the hashtag #DarigoldDozen. Send a message to Starbucks by making a 30-60 second video like the one below. Create a short video based on your personal connection to Starbucks. Tweet, post and upload pictures. Use hashtags and tag corporations (Tag the UFW at @ufwupdates, tag Starbucks @Starbucks) Use the hashtag #DarigoldDozen. "Hi, my name is Jill and I’m a union organizer from Pacoima. I’ve always thought Starbucks was a company that cared about ethics. Since reading about their supply chain problems, I’m wondering if I was wrong. Starbucks, we need you to hold your supplier accountable to dairy workers. I know you can do better!" Dairy farmworkers are some of Washington’s hardest workers, often spending more than 12 hours a day on the job across nearly 400 dairies. 90% of Washington’s dairy farms supply Darigold, a large cooperative that sells more than $2 billion worth of dairy products every year. Darigold member dairies have a long history of treating farmworkers poorly— egregiously violating workers’ rights and ignoring health and safety standards leading to wage theft, hospitalizations, and fatal accidents. Between 2015 and 2017, injury rates at dairies were 121% higher than other Washington industries combined, the rate of significant injuries (those that cause workers to miss work or go on disability) was 41% higher at dairies than in other agriculture sectors, and a worker died each year on the job at a Washington dairy farm. After believing they were denied legally mandated 10-minute work and lunch breaks, 12 courageous workers— the Darigold Dozen— made their concerns known. When these concerns went unheard and ignored, they filed a lawsuit against Ruby Ridge, a Darigold member. The Darigold Dozen were pioneers, motivating farmworkers across Washington to speak out against racism, sexual harassment, wage theft, workplace accidents, and missing safety precautions. Other brave farmworkers have filed lawsuits inspired by the Darigold Dozen, resulting in hundreds of thousands paid out in settlements by Darigold dairies. Rather than address and reform the workplace issues raised by their workers, Ruby Ridge fired them, then countersued these twelve brave whistleblowers and United Farm Workers in retaliation. With this revenge lawsuit, their aim is to trap workers in financial ruin, reject responsibility, and silence present and future complaints. 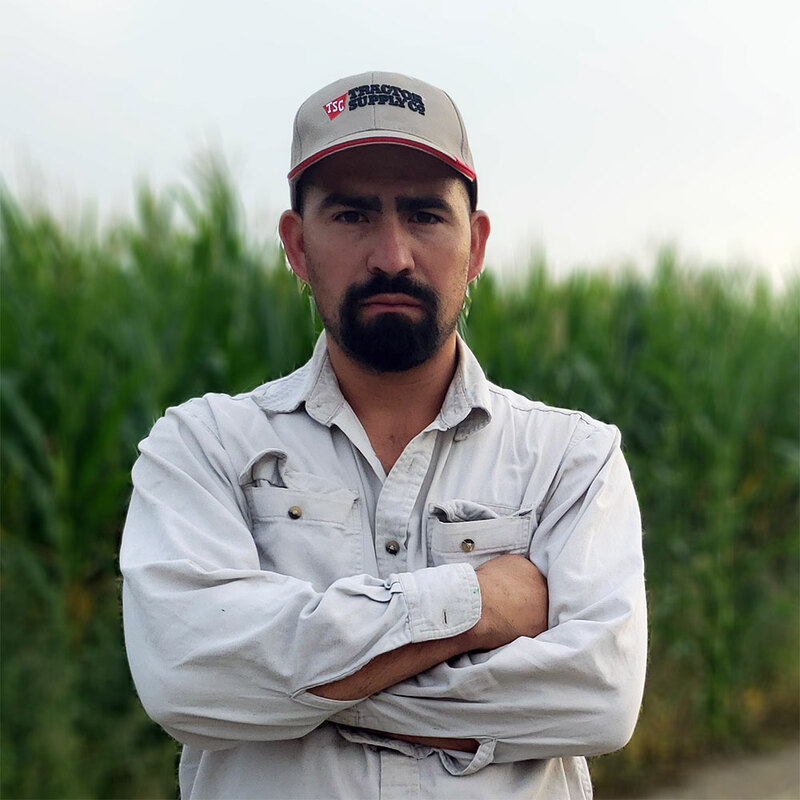 As the case reaches its final stages, we must raise awareness of the plight of Washington farmworkers and the intimidation threats of their employers. It is in honor of the Darigold Dozen that we take action — so no worker is subject to illegal threats, retaliation, or retribution. By demanding that retailers hold Darigold accountable, we can finally put an end to illegal employment practices and ensure all farmworkers are treated fairly and employed in a safe workplace. Learn more about Darigold member dairies’ mistreatment of workers, the fast, and how you can help below. The Washington State Department of Labor and Industries has identified hundreds of safety and health violations at Darigold farms. A worker brought a claim to the United States Equal Employment Opportunity Commission for sexual harassment and retaliation against DeRuyter Brothers Dairy. They settled for $100,000 in 2018. Two workers sued Cow Palace after years of discrimination based on disabilities and physical appearance. Cow Palace settled in a confidential agreement. Southbank Dairy currently faces a lawsuit from seven dairy workers. White and non-Latino workers were given better working conditions, and Southbank has failed to provide necessary safety equipment, committed wage theft and deprived workers of basic rights. A class action lawsuit was filed by farmworkers from Outlook WA against DeRuyter Brothers Dairy over overtime pay, racial discrimination, rest breaks, and meal periods. Though much of this case has been resolved by settlement, a portion remains open. Workers have filed a class action complaint against George DeRuyter and Son’s Dairy for unpaid wages, failure to provide breaks, and improper pay deductions. Ruby Ridge’s countersuit and attempt to dismay workers from fighting for their rights appears to be the first time a dairy farm has sued its former employees. Unless we stand up to this intimidation, it won’t be the last time. 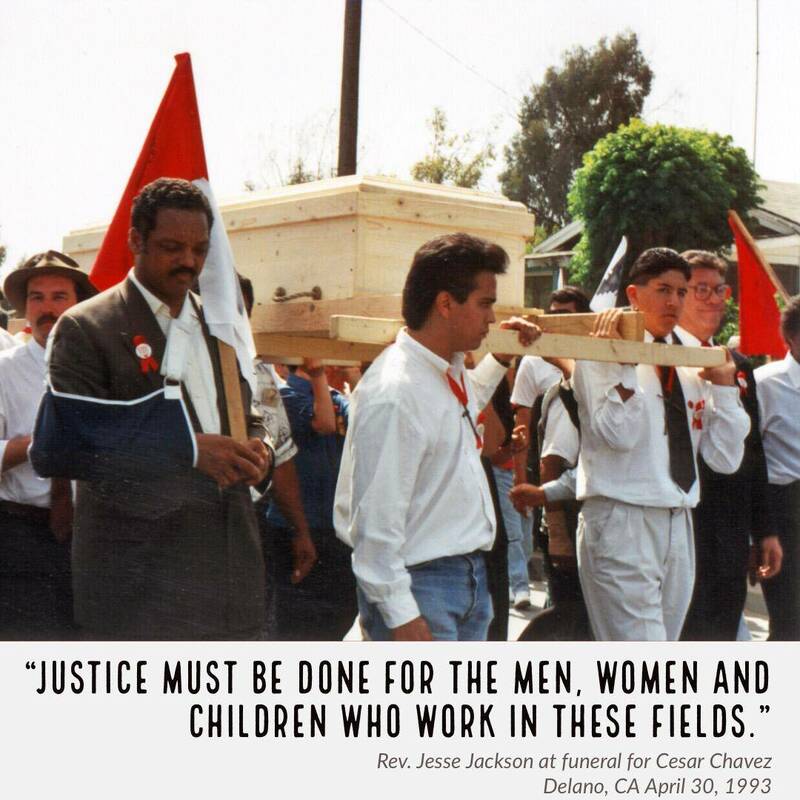 #CesarChavez' legacy continues today, from fields in California to dairies in Washington. 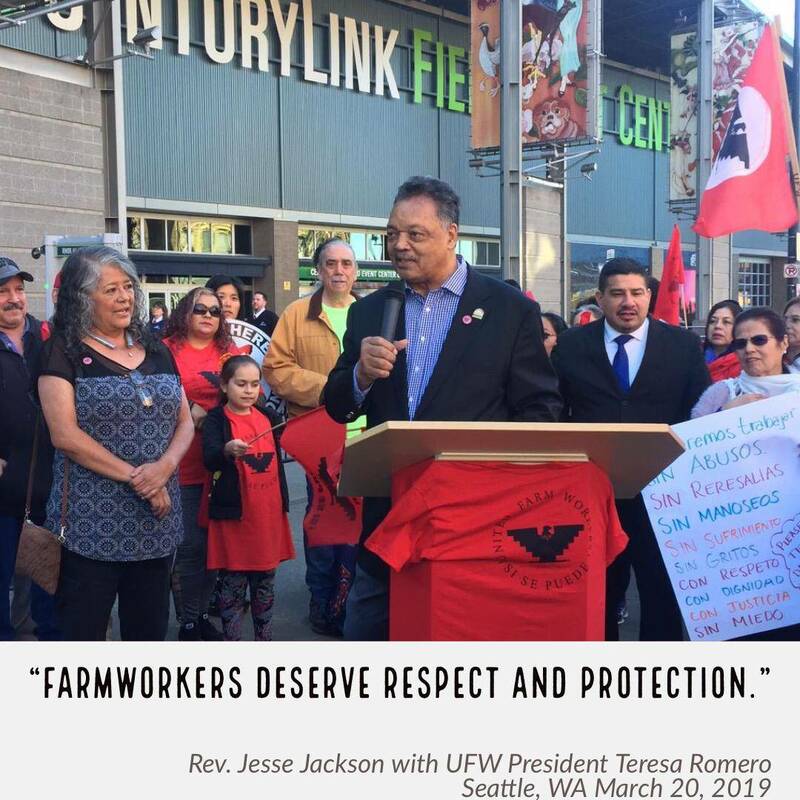 Human rights leaders like @RevJJackson are still working for justice on behalf of farmworkers like the #DarigoldDozen. #United we can win justice for these workers. Last week, @Starbucks vowed to work to resolve serious labor violations in their supply chain. Yesterday two NEW lawsuits were filed. 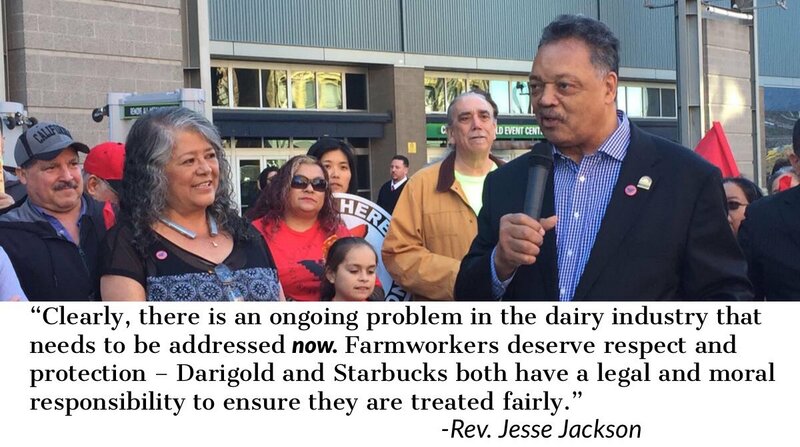 Supporters like @RevJJackson are stepping up the urgency for dairy workers like the #DarigoldDozen. a) Hi my name is ______. I am calling in support of the Darigold Dozen. b) As a consumer, I want to know I’m spending my money on retailers who put effort and thought into the working conditions in their supply chain. c) You are a major purchaser of Darigold milk. You’ve made record profits in this past year. You need to answer to all the people who helped build those profits. Why won’t you hold Darigold accountable to the workers on their dairies? d) When I order a coffee, I want to enjoy it. I want to feel confident that I spent my money on a product that was ethically sourced. I expect more from Starbucks. Clean up your supply chain.